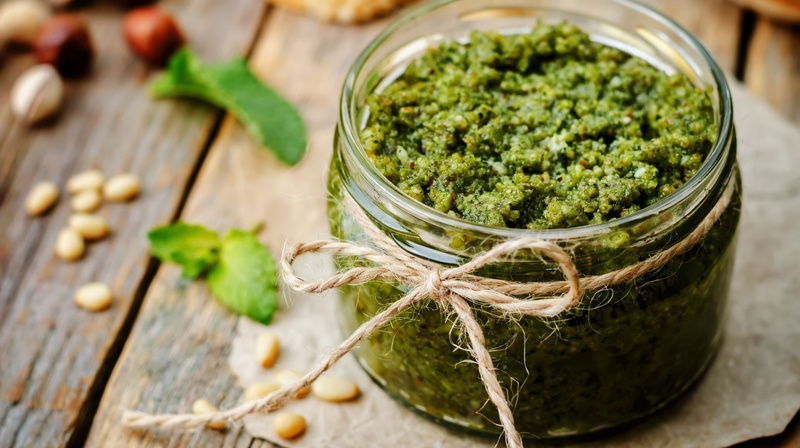 A very special and versatile sauce; basil pesto is full of flavour. The basil cultivated for this sauce grows high up on the hills of Liguria; a region in the Northwest of Italy known for its perfect growing climate. This sauce is ideal with Trofie pasta, its shape allowing for the sauce to thoroughly stick to the pasta. Heat sauce slowly in a saucepan, mix with pasta and serve. A sauce for meat or fish dishes. A spread on tarallini, bruschetta or crostini. A spread on crackers and breads. A dip for party finger food. 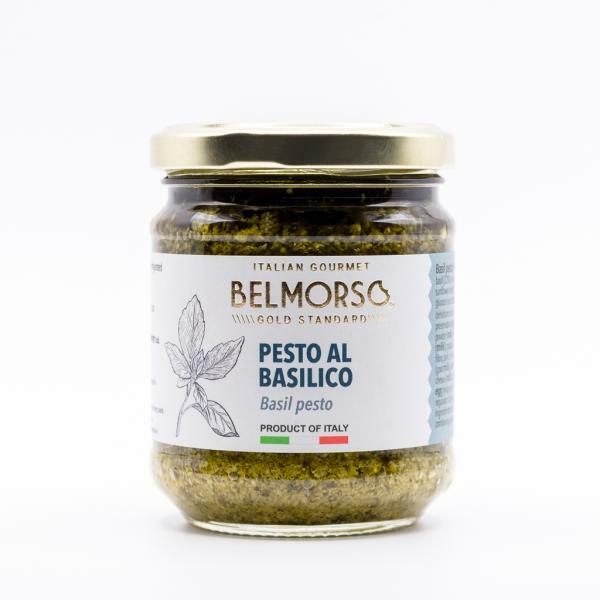 An ingredient in salad dressings, stews and soups; it is fantastic with scrambled eggs; delicious if mixed with some fresh ricotta cheese and ideal to stuff ravioli or vol-au-vents. Basil (33%), olive oil, glucose syrup, sunflower seed oil, cashew nut flour, pine seeds, potato flakes, mixed cheese (Grana Padano and Pecorino Romano), garlic, salt (1.48%), acidity regulator: lactic acid.